The Battle of White Mountain, 8 November 1620 (Bílá hora is the name of White Mountain in Czech) was an early battle in the Thirty Years' War in which an army of 15,000 Bohemians and mercenaries under Christian of Anhalt were routed by 27,000 men of the combined armies of Ferdinand II, Holy Roman Emperor under Karel Bonaventura Buquoy (as he is known in Czech; Charles in his native French) and of the Catholic League under Johann Tserclaes, Count of Tilly at Bílá Hora, near Prague (now part of the city). The battle marked the end of the Bohemian period of the Thirty Years' War. Initially the revolt of the Rosicrucian-backed Protestants in Bohemia went well for the rebels, and they broke out of their isolated political position by electing Frederick V, Elector Palatine as their king. 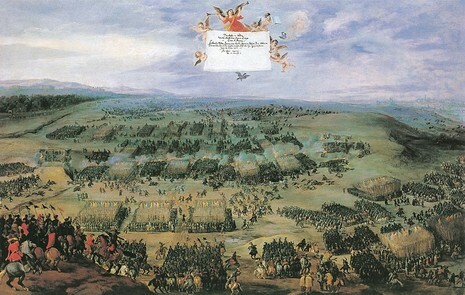 In 1619 the Estates of Upper and Lower Austria began to support the Bohemian Estates in the fight against Habsburgs and Transylvania's prince Gabriel Bethlen led his armies into Royal Hungary. But after Frederick accepted the crown of Bohemia in 1619, the Protestant Union signed the Treaty of Ulm (1620) with the Catholic League, declaring neutrality and refusing to support him. In the following months, Maximilian I, Duke of Bavaria regrouped the forces of the Catholic League, and in November, sent Tilly to Prague. 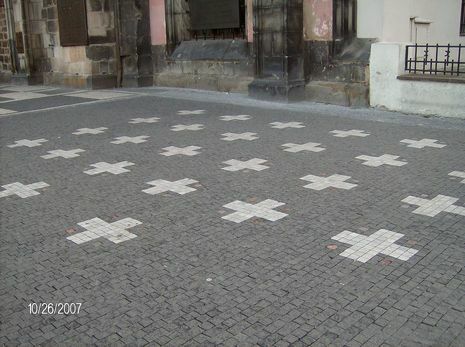 The Bohemian commander, Christian of Anhalt, assembled his troops, and deployed them on the slopes of a hill (Bílá Hora in Czech, Weißerberg in German, both meaning White Mountain) blocking the road to Prague. His troops occupied a solid position, with his right flank covered by a hunting castle, his left covered by a brook, and a small brook with some moors in front of them. According to some reports, a monk brought along a picture of St. Mary, which had been defaced by the Protestants, which incited furor among the Roman Catholic troops.